Saturday’s weather was much better than Sunday. 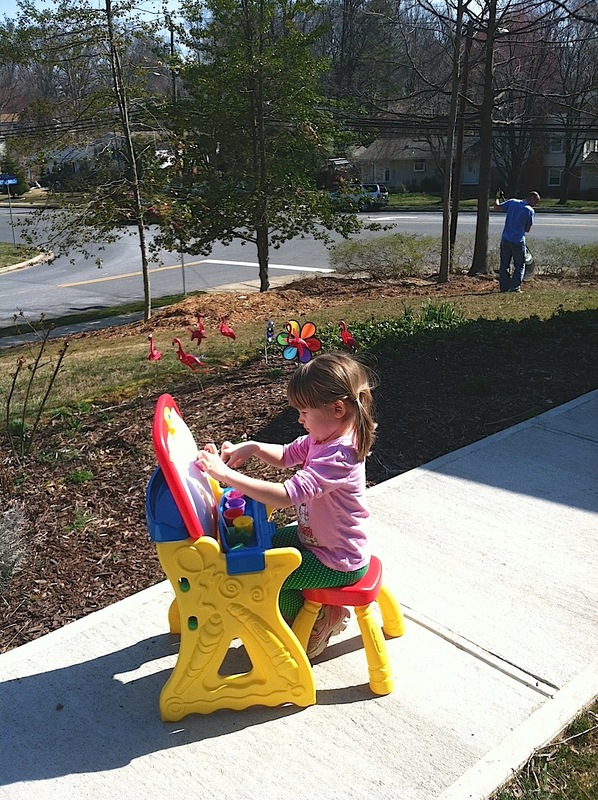 Miss H has been begging to paint outside since her birthday and it was finally a perfect day for it. 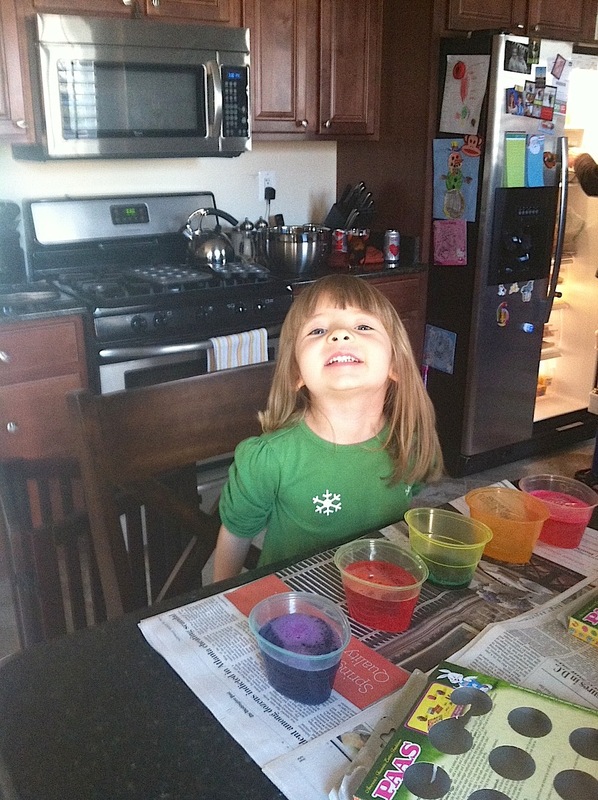 She enjoyed the finger paints and now is super excited to use all the brushed Grandma brought for her. The weather was great but then the cruddy weather came back for Sunday. We had a pretty low-key Saturday. We had our first vet visit with Miss S and she did great. The vet was surprised about how calm she was and even joked about taking her home. 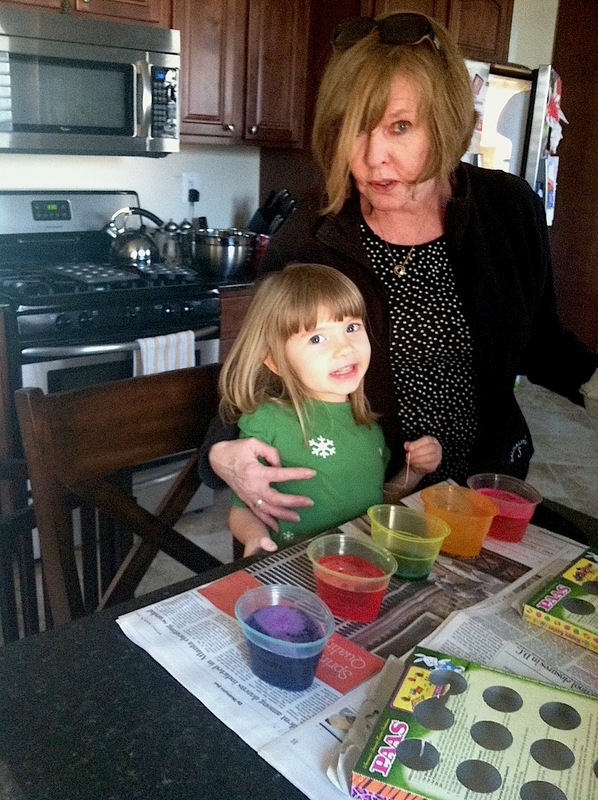 Then, it was time for egg dyeing. It was serious stuff. And, on a serious note- what do I do with 20 hardboiled eggs?? 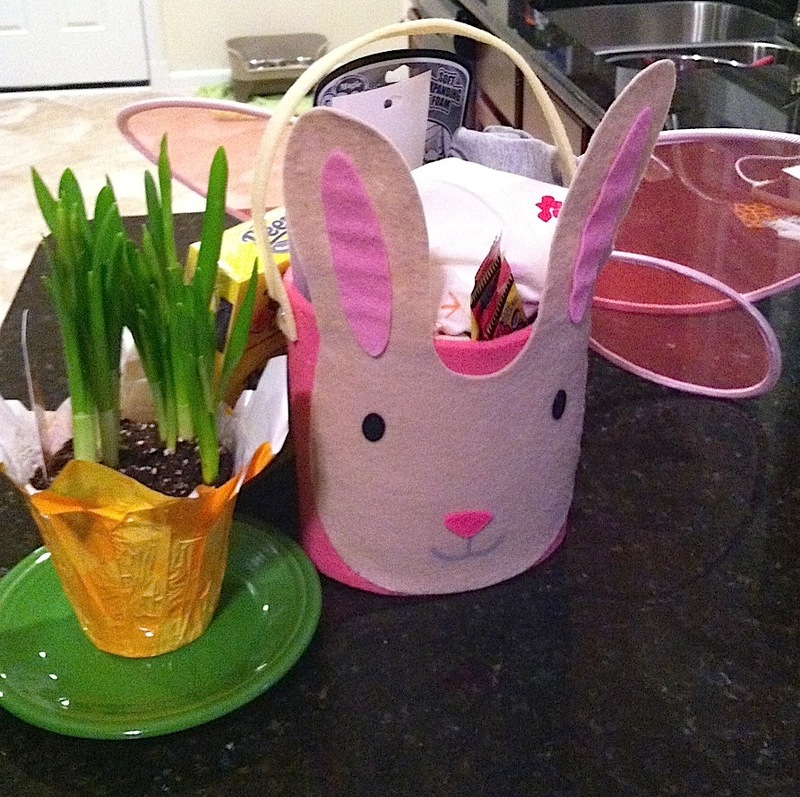 Miss H got spoiled by the Easter Bunny and had to find eggs in the house (I think there was still some that she needs to located). Then, we had some friends and family over for lunch. 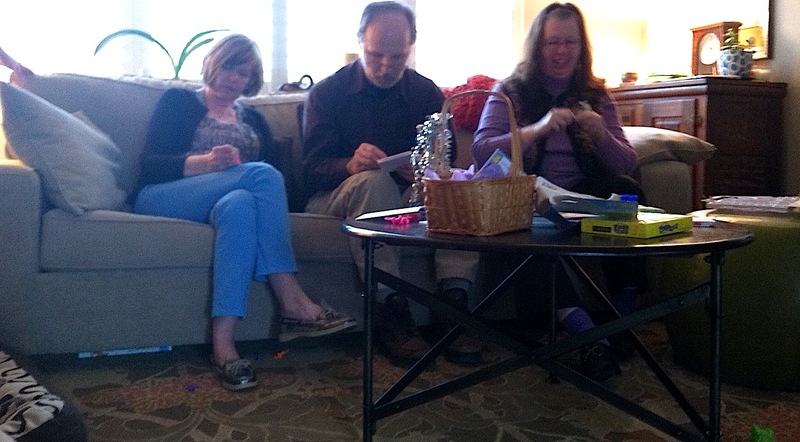 At one point, Miss H passed out paper and ordered everyone to color. And, they listened. 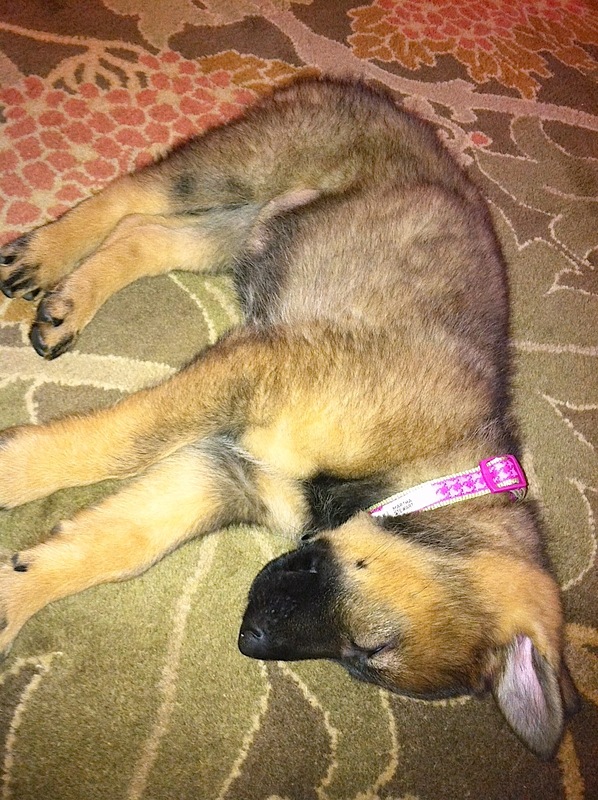 On a funny note- Miss H loved to tell everyone that Miss H is a ‘German Shepherd.’ This is a true statement. However, when describing other animals, we now have a ‘German penguin,’ and a ‘German frog.’ While we were reading stories tonight, she asked if Cindy Moo was German too? All the attention wore MIss S out today.